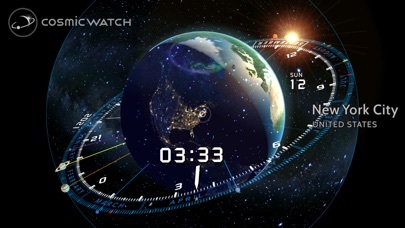 The Cosmic Watch 2.0 is a high quality 3D planetarium and timepiece. 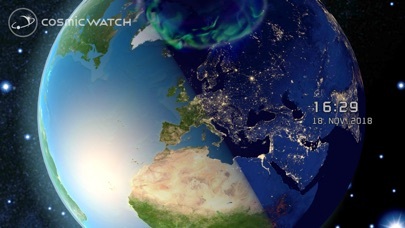 This powerful educational tool renders stunning graphics of the earth and sky in real time. It's a playful and entertaining introduction to Astronomy and Time. 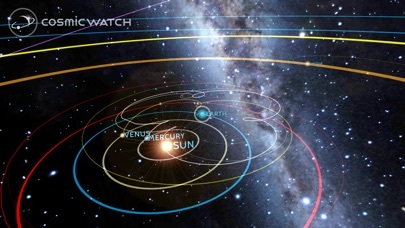 Take an astronaut's flight over planet earth or explore the solar system. Point your phone or tablet towards the sky and experience it in augmented reality!! 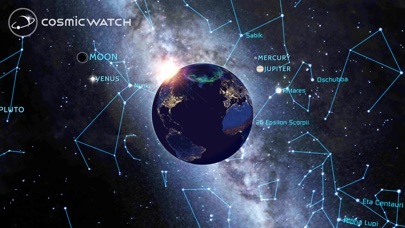 Get to know the constellations, stars, and planets in your sky right now! 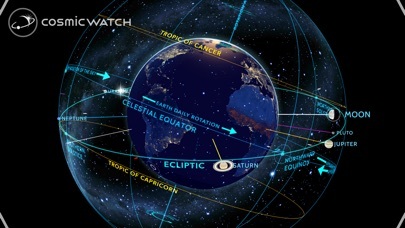 Travel to the past, present and future and see how time is related to the movements of the solar system. The Cosmic Watch combines basic principles of astronomy with time measurement to deliver a journey through space and time, while providing real time visualisations of your position in the cosmos. 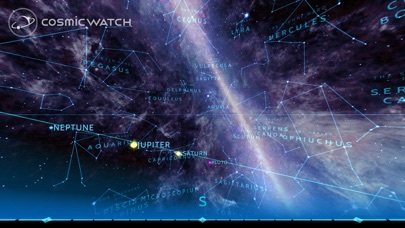 The Cosmic Watch 2.0 calculates important astronomical events so you never miss the next cosmic phenomena. 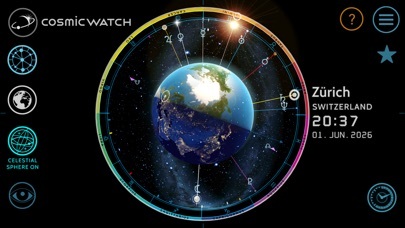 The Cosmic Watch is for everyone who loves the planet earth and wants to unlock the secrets of the celestial vault. It's a must have for nature lovers and outdoor adventures, amateur astronomers and advanced stargazers, professional astronomers, clock fans, science fiction geeks. 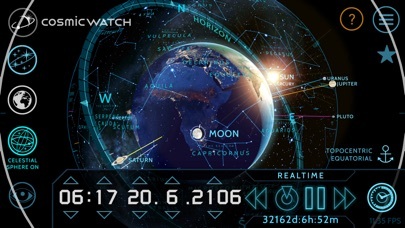 The Cosmic Watch 2.0 has made improvements towards usability. 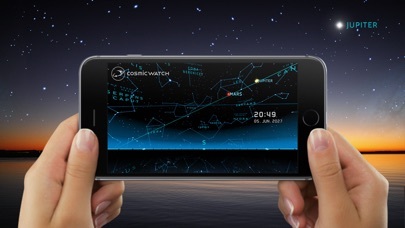 The Cosmic Watch was created by Celestial Dynamics, a small and enthusiastic team of dreamers, visionaries and profound seekers with the mission to create beautiful and inspiring apps to raise awareness of the earth, sky and the cosmos. 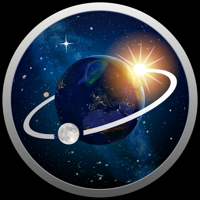 Join the expansion of the universe and of your knowledge with this app. 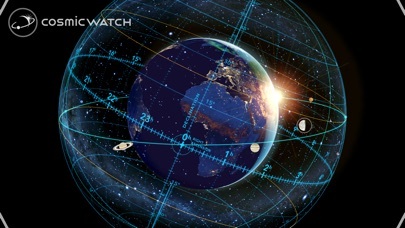 Experience the world's first and most advanced 3D interactive astronomical clock of the digital age.